I was thinking of a way to start this post while humming Bill Withers “Lovely Day”…but there was no other way, as this was truly a lovely day to stroll the streets of Paris and find beauty. (especially when most Museums are free on the first Sunday of each month). Each of us knows that beauty can be found in places where there is joy and tragedy, awesome works of art along with signs of a tortured soul. 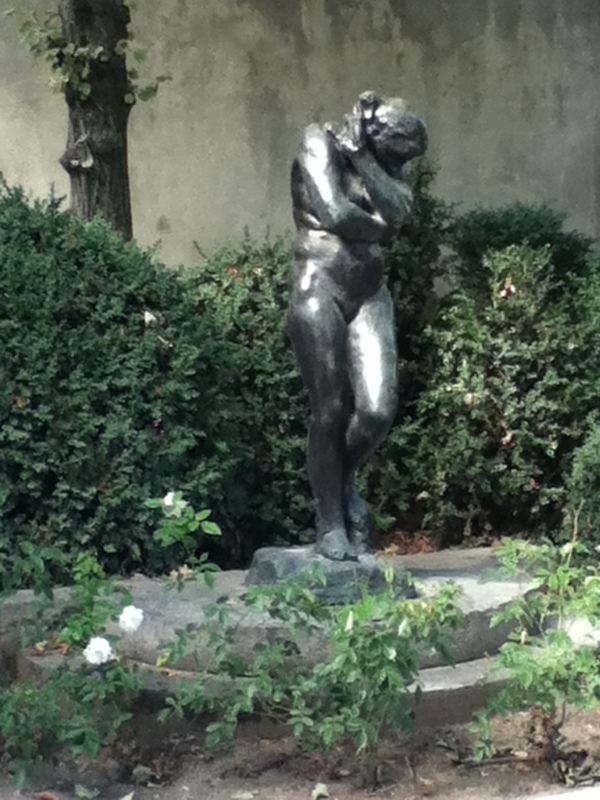 All of this and more can be found at the Hotel Biron, otherwise known as the Musee Rodin. When I think of beauty, I remember my Mom’s rose garden – these roses reminded me of what I am familiar with. 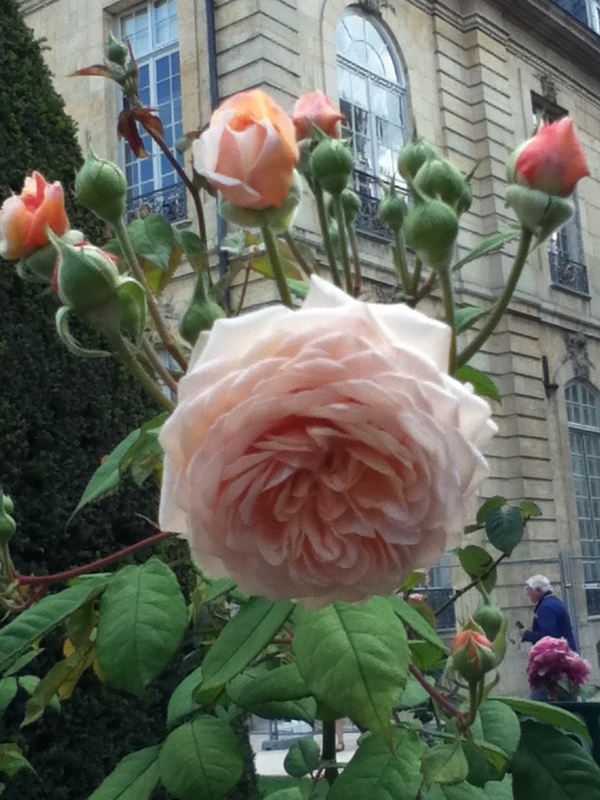 Upon entering Musee Rodin, you are welcomed into a beautiful courtyard of roses. Roses of all types and textures. 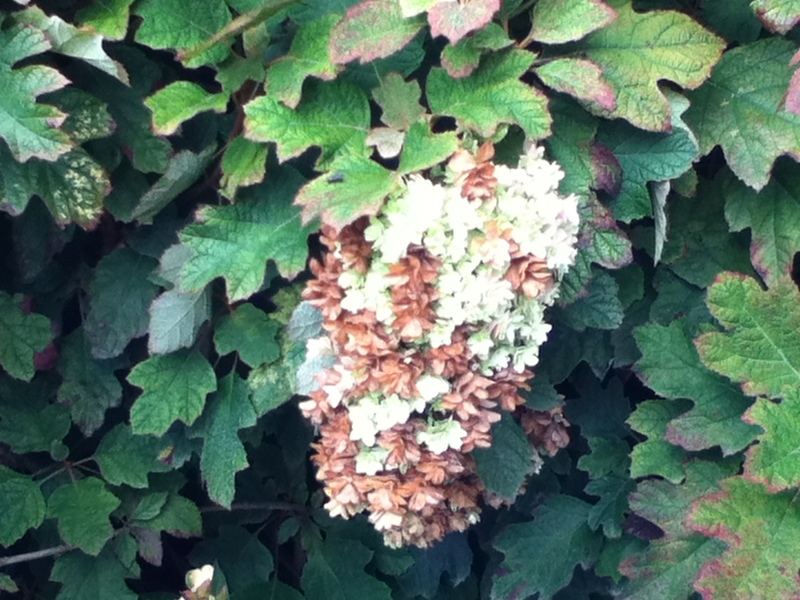 There is even a very old rose that I had been looking for a few years back. 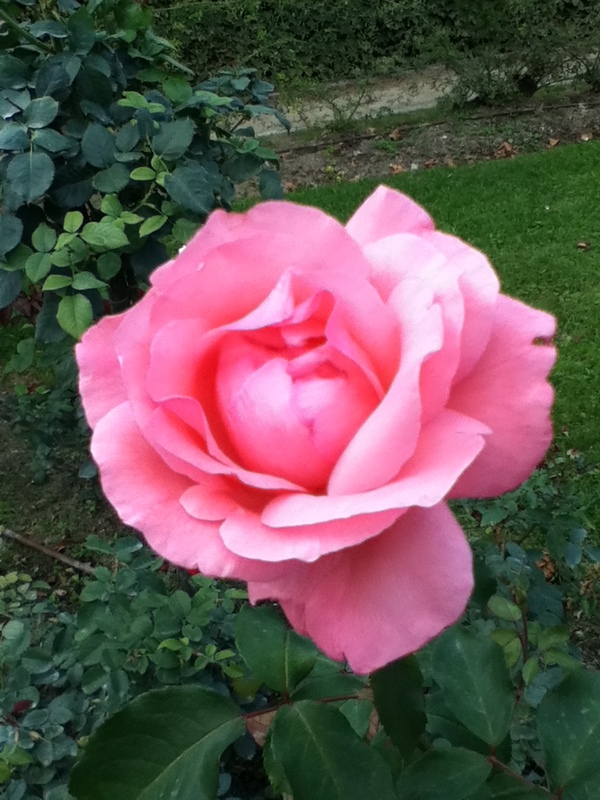 It is an antique rose called Margo Koster….and what a beauty she is…. 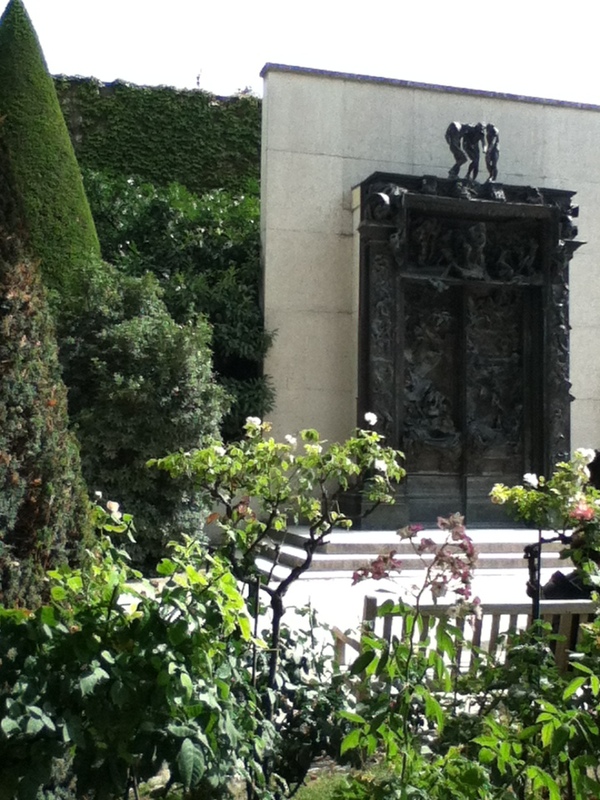 The roses alone with the sculptures amid the trees and shrubs captivate ones heart. 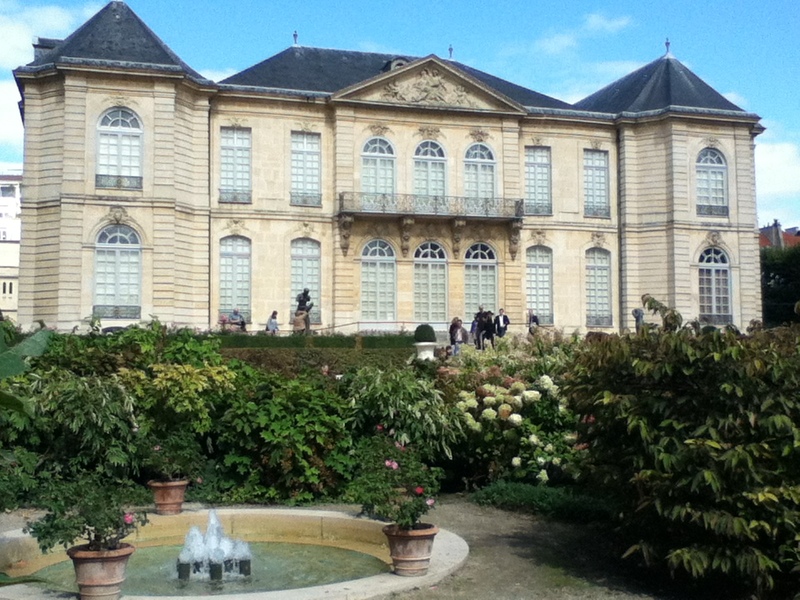 I knew that there was more garden and art to be found and what a delight it was to see the beautiful statue of Eve as I faced the Hotel Biron and the beautiful gardens of Musee Rodin. Even amidst the construction (self financed renovations are currently underway), the garden stands out and welcomes tourist’s and native’s alike into its peaceful splendor. 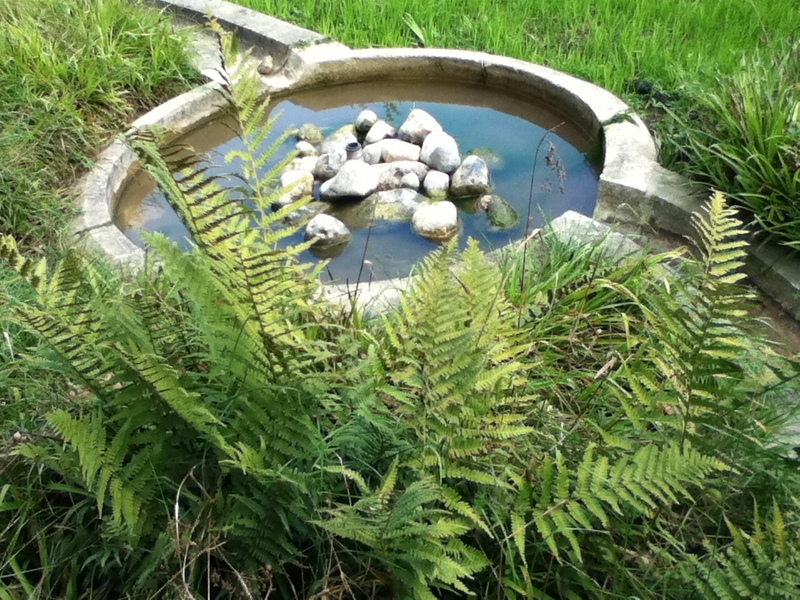 The landscaping that is in place is part of an intensive restoration that took place in 1993. 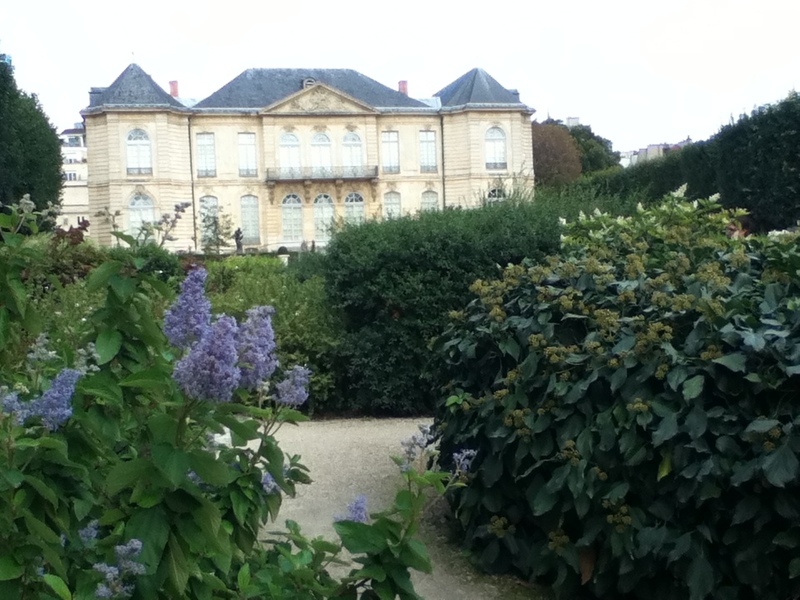 I must say that the choice of plant material does complement the art and structures at Musee Rodin. 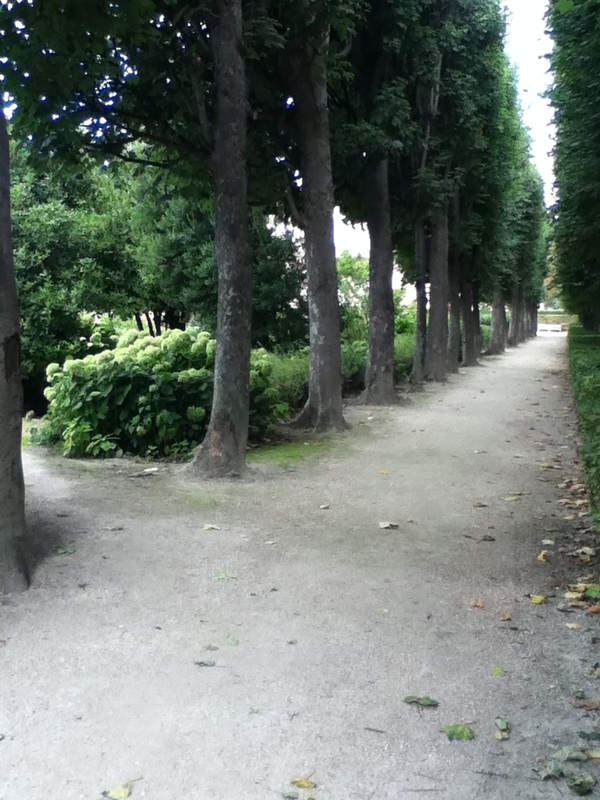 When Rene Francois Auguste Rodin was a resident here, the gardens were wild. He would wander through the overgrown brush with his German Shepard and meditate. I am sure that his meditations helped soothe his mind after creating the art he is known for, particularly pieces like….The Gates of Hell…. 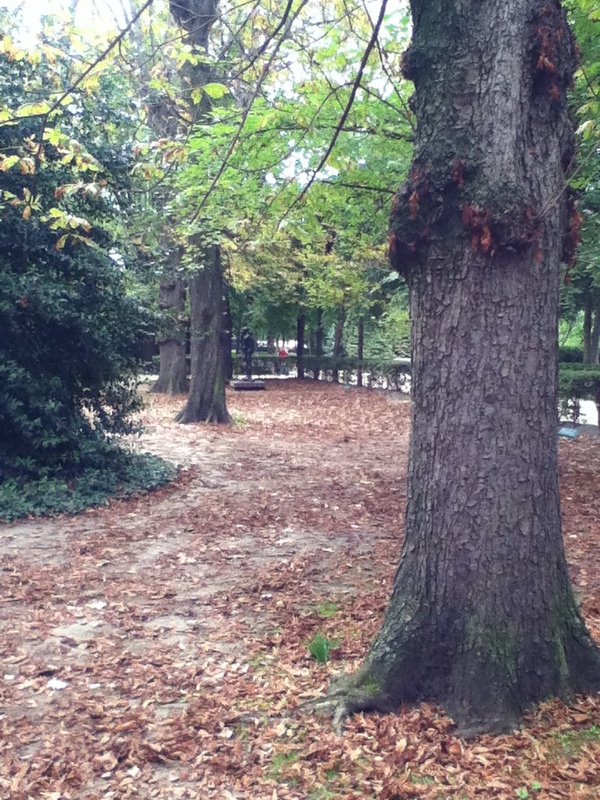 Which way would you go….. There ae no wrong ways to turn here. well unless you were Orpheus. Legend states that Orpheus was warned to not look back as part of an arrangement to reach into the Underground world and bring back his beloved. Orpheus looked back and lost her for a second time. A tragic tale in a beautiful setting. Only in Paris where passion and emotion are just a normal part of the landscape of life. 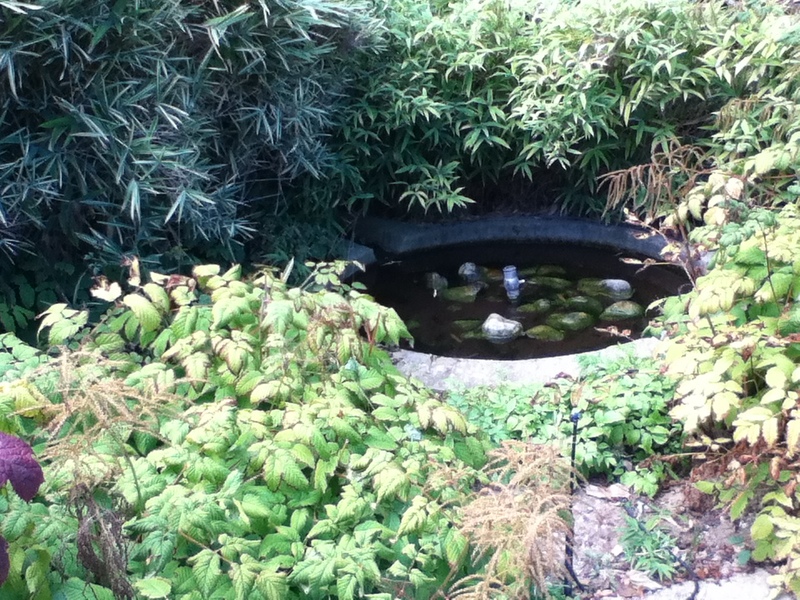 I love the way the Aruncus accents the still water of this hidden pond.. The Hotel Biron in all of its grandeur. 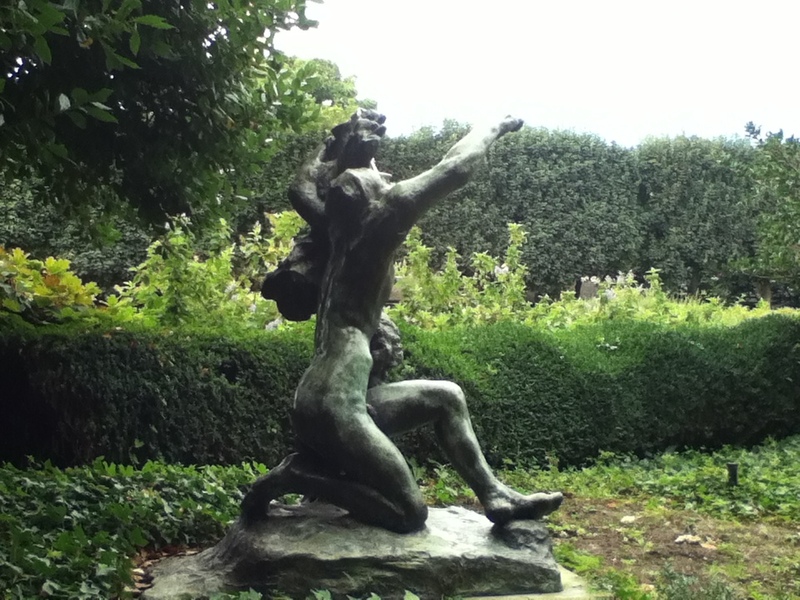 I can see how Rodin maintained a creative spirit to stay on these grounds, even after several attempts to evict all residents and sell the estate. 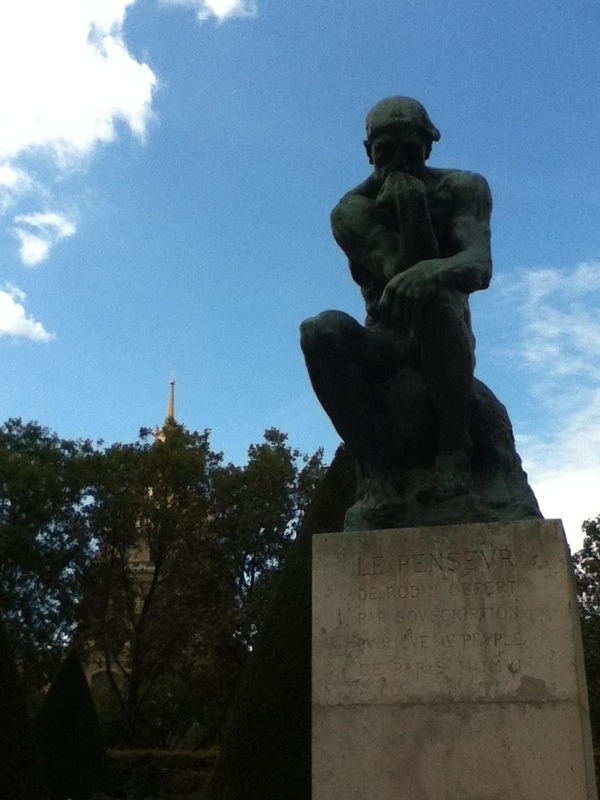 Rodin knew that this place was special and did not want to leave this inspirational base, so he did private works of art, commissioned busts by those who were of means and at the end bequeathed all of his works of art and writings to the French government – as long as they made this a place in remembrance of him. I could not leave without a bowl of cream of vegetable soup from the Cafe that is on the grounds of the Musee Rodin – exceptional does not do the taste justice. Just what I needed to curb my appetite, as I tried to figure out when I would leave this place of peace to find another place to pause and envelope myself in beauty…. You are waxing poetic about this lovely day! So glad that your stay in Paris is going so well! Oh Monique. Tomorow I head to Brugge, a day trip, but an adventure nonetheless. I cannot imagine that it will be as pretty as Paris, but we shall see. I am FULL on the beauty that is just at your fingertips…….amazing…….Thanks for being…and reacheable! I Love Your post!!!! I wish I was there!! One day we will make this trip and we will both enjoy!!! Start working on that unused French my dear!!! My heart is smiling because i can feel your joy in your words. I’m glad you are having an experience as beautiful as Paris, and that’s a tall order. Have fun in Brugge, it’s the place to get your chocolate on. I’m reliving some of my own experiences through your eloquent prose. Oh Elle…..this is and has been a magical trip…Today the magic continues…..Thanks for commenting on this blog post! Thank you so much for this lovely and evocative writing. The only thing that rivals a day in Paris is seeing it through the eyes of someone else! oh SO AMEN. 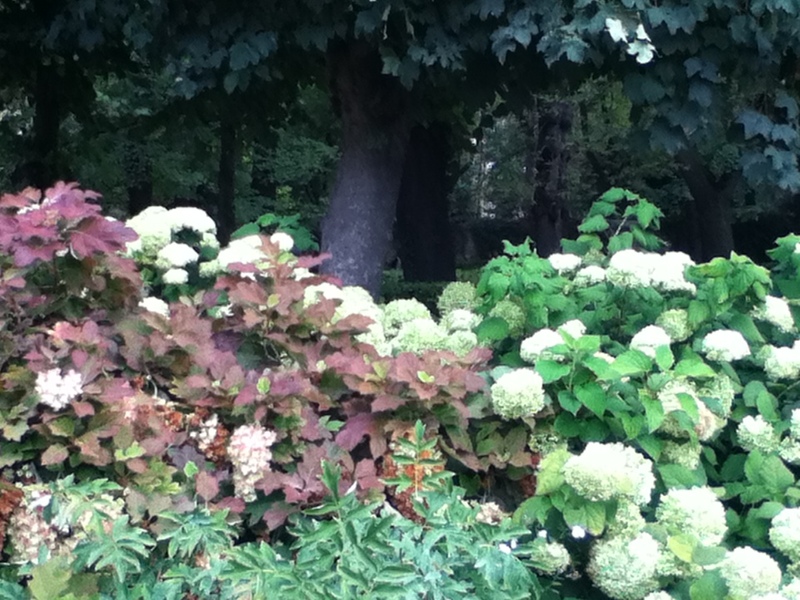 I had to go silently the last three days to savor the moments at Giverny and two other gardens I stumbled upon. God is so great and it is such a shame that folks do not understand this!!! I will share the final two days after I pull myself together….I am home ans still cannot believe the pictures!! !